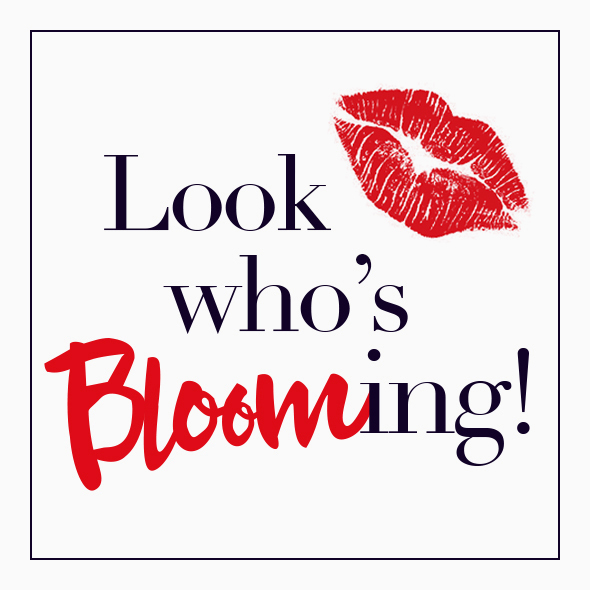 Upon entering the site, The typical me can't help but drool over tons of beauty products. They offer a variety of beauty must-haves from over 300 brands. I thought it will take me forever to decide on what to get on my "under 1000 pesos beauty haul". Tip: Check their promos first, so you get the best deal possible on your purchase. I believe they always have great deals in store for us everyday. Payment Options: The "add me to cart process" in deciding what to buy is the longest part. But I told you, the checkout was a breeze. I took me I think 5 minutes less to put everything in my shopping cart and finally checkout. The payment options are versatile too, although some products are not available via cash on delivery. Other than that, the (3) other payment options are always ready to go. 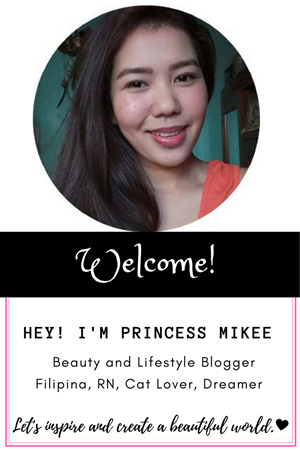 There are also credits awarded by BeautyMNL to some customers that can be used to avail products. Delivery time: They guarantee a next day delivery within Metro Manila, while 5-7 days for provincial. Thankfully, I got mine in 2 days after placing my order. It was on a sale at 30% off so I got it only for 280.00 pesos. As of writing, they are still on sale. Purchase now! I got the sheer plum since I wanted tinted natural shade for everyday use at work. The shade wasn't overpowering nor make me look pale. I already ran out of an eyebrow pencil so I searched for one. It was the most decent and affordable eyebrow pencil that I saw on the pool of eyebrow products. It was also my first product from the brand, Dearberry. I read some reviews first about this product and was sold with this so affordable automated eyebrow pencil. I guess, a lot of people are buying this since the (2) other beautiful shades are out of stock and I was left with this choco brown which is not bad at all. I was about to buy the Innisfree No Sebum Blur Powder but I was dismayed that I was out of my 1000 pesos budget after the delivery charge was added. So, I added this mineral powder instead. Everyone was raving about this particular product and I think it was about time for me to try this out. Hello, combi to oily skin people! I am one in the club. Though, the blur powder is the better version. 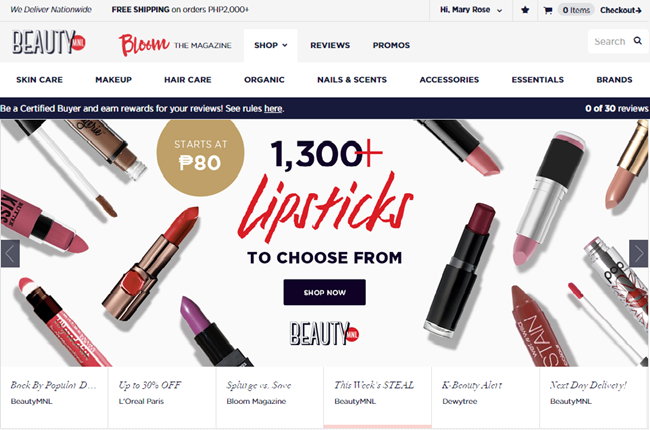 What to buy in less than 100 in BeautyMNL? Check their tools and essentials. You can find some affordable deals from sponges, disposable applicators and hair velcros! I got the cute pink one. The reviews of each product will be posted soon. Lastly, my favorite part was their in-house beauty magazine, Bloom, where you can read some beauty articles that will be helpful for your purchase. 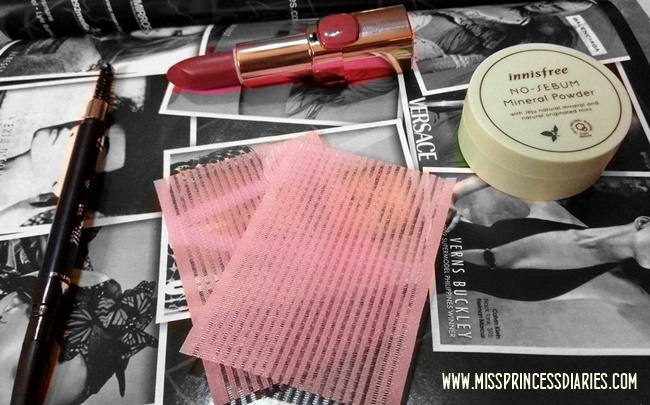 I was fond of reading beauty articles to enhance my knowledge and skill as a beauty enthusiast. It was also helpful to check on new and upcoming beauty products plus beauty hacks that every girl should know. 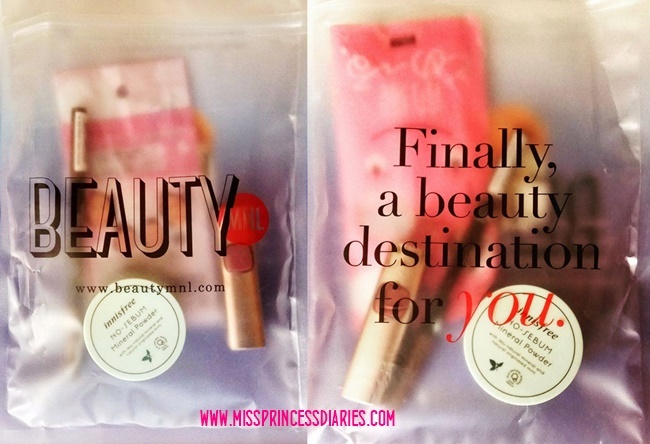 Aside from that, what makes BeautyMNL more interesting was their review section of each product on hand. You will see real-time reviews from fellow bellas that already using the product. Everything beauty in one site, indeed! Never heard of this site before! My usual stores are amazon and mostly drugstores and sometimes when I feel like splurging I go to sephora or Macys. This site seems to be very compete, as far as you describe it, I'll give a look and see if there's some product that attracts me more! Thank you! I've never tried shopping here before! It sounds amazing and it's really easy and convenient. It's nice that there are plenty of products to choose from as well. It looks like a great website to shop from if you are looking for a bargain. You are right, the shipping fee is too much. I usually don't buy from websites where I have to pay for transport. These are some great picks for the price point. 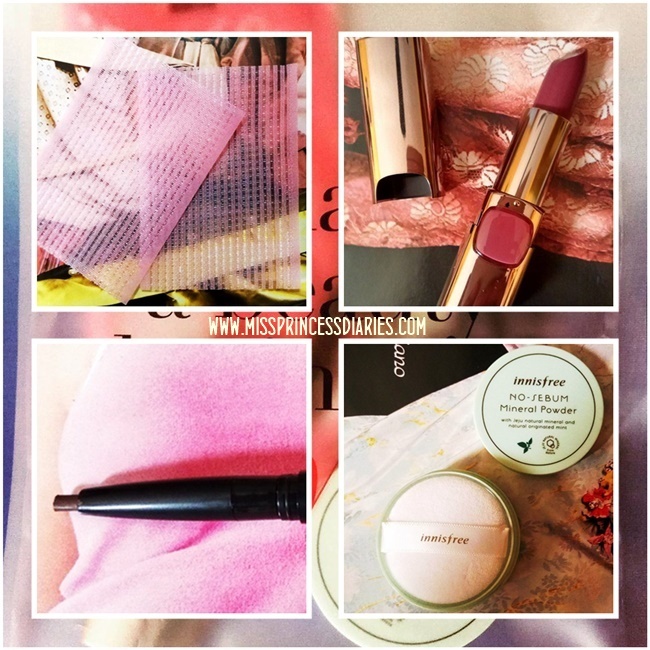 I find some amazing drugstore products too and love them. Love the natural colour of the lipstick. The sheer plum colour is a very flattering shade on most skin tones. Love the eyebrow pencil with the brush too. I am using L'Oreal Paris Color Riche Moist Matte Lipstick, and I can say the lipstick is da best on the price. I love it! I've not heard of this online store before as well. Do they have men's stuff too? I love that L'Oreal plum lipstick. Beautiful! Looks like you found yourself a great deal! that's good to know. I like online shopping too easy for sahm. 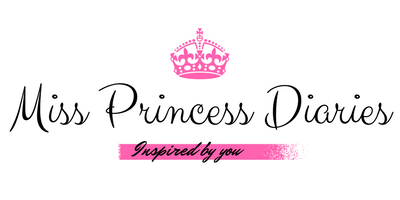 What a great website - so many fantastic products that I dont know how Id make a selection! Great that they deliver too! I can just imagine you like a child with a cookie jar. I love online shopping as well so I do totally understand how it is like!! Hey Princess, you've got some lovely haul there! I haven't tried shopping via this e-store coz most of their products are easily available in the malls. (And most of the time more affordable). a good online store with adorably nice items to choose from, not much of an online shoppper but you give me reason to go into it more often than i will think of. Innisfree No Sebum Mineral Powder also my all time favorite. An a new online shopping store for me.